Today’s gift idea for a vodka drinker is a Moscow Mule mug. 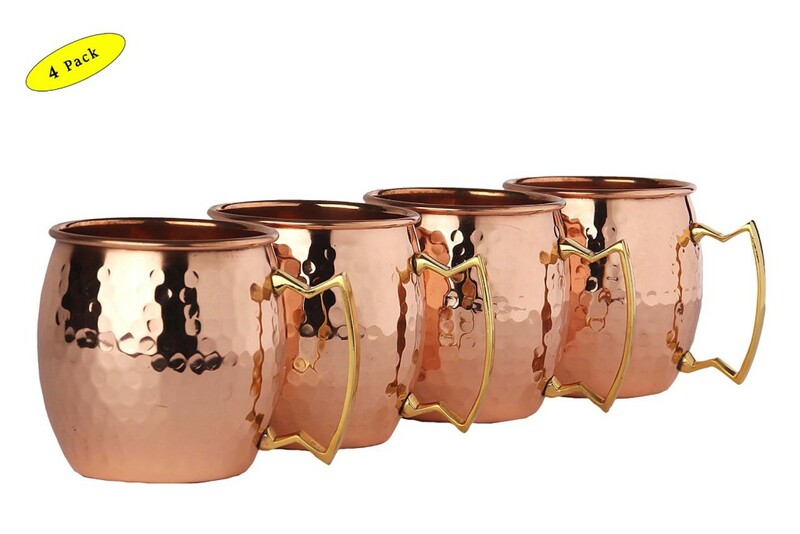 If you know that vodka drinker you are shopping for does not already have a good set of copper mugs for Moscow Mule cocktails then this is the perfect gift to give! 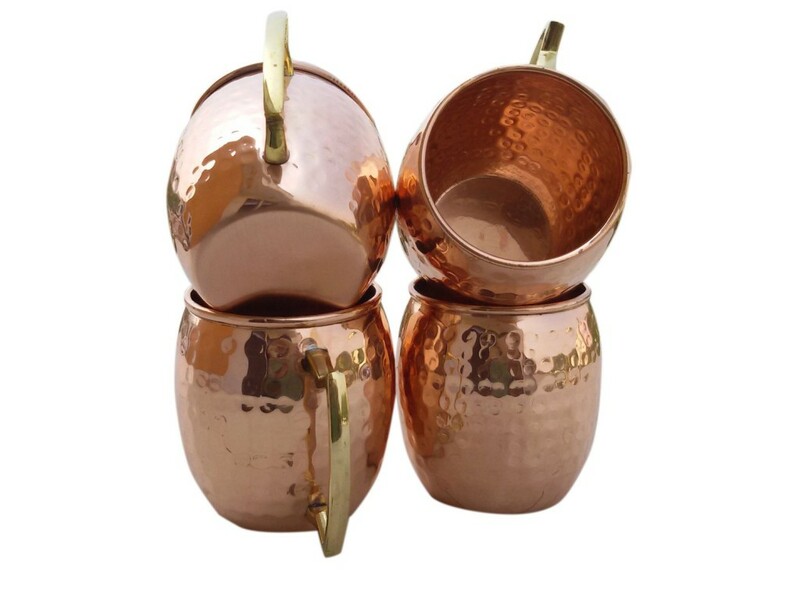 We have listed several of our favorite options below for the Moscow Mule Mugs Gift Idea. Prices range anywhere from $10 – $100 but most of the price fluctuation is due to the quantity of copper mugs included in a set. Several of the gift ideas listed below are available for purchase by the individual mug as well as in sets of 2 or sets of 4. We recommend buying a set of 4 as a good starter set. We have options for both hammered copper mugs as well as smooth copper mugs below. I personally do not have a preference of the hammered mugs vs the smooth but many people prefer the looks of one style over the other. Check back often for more gift ideas for vodka drinkers! 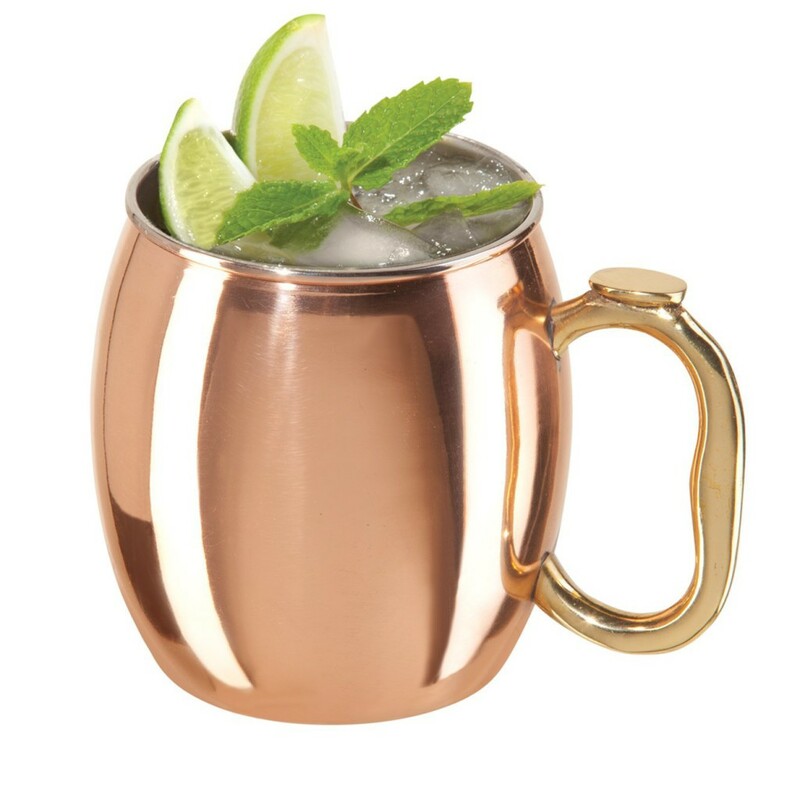 I hope that there are lots of vodka drinkers receiving some awesome copper mugs this holiday season to make some Moscow Mules in! This copper mug set makes a great gift! This Moscow Mule Mugs Gift Set is sure to impress! Buy a Set of 4, Set of 2, or Individual Mugs!